There is no doubt that when it comes to wardrobe staples, a leather jacket is a cool piece that will last you a lifetime. 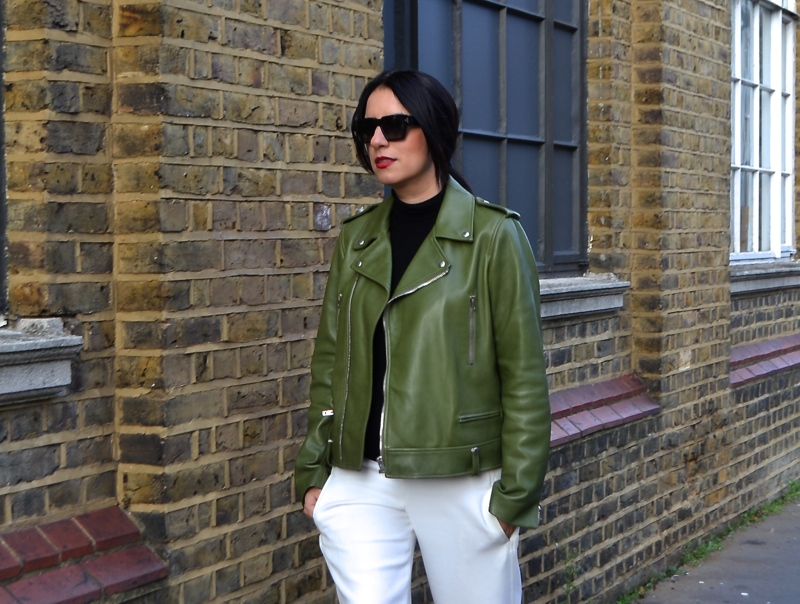 The military green biker from Joseph was on my "to buy list " for a long time as its ideal to bring a bit of colour to my closet full of black. green leather jacket is awesome , looks much more expensive can i get its original price or if its too much expensive then i can get in replica? Lovely jacket for my Girlfriend. I will going to buy this jacket. well here is my past shopping site from where i bought a jacket of Dead Pool Movie. The green jacket of this model fits perfectly to almost any clothing. Its color and crayon details perfectly complement the entire style.